NAIL THE MIX: Renowned Danish Producer Tue Madsen (August Burns Red, Behemoth, Suicide Silence) Dissects the Mixing Process for Meshuggah's "MonstroCity"
The cat's out of the bag! After weeks of keeping this month's NAIL THE MIX guest producer under wraps, the NTM team is honored to announce their featured March guest - renowned Danish producer Tue Madsen - who will dissect his crushing mix of Meshuggah's "MonstroCity" with subscribers. Throughout the past two decades, Madsen has worked with huge heavy metal artists ranging from Suicide Silence and August Burns Red to Behemoth and The Haunted. "MonstroCity" is cut from Meshuggah's massive new album, The Violent Sleep of Reason, which was released in late 2016 and debuted at #17 on the Billboard Top 200 chart. Tue Madsen will lead an exclusive livestreaming class offering a complete walkthrough of how he mixed "MonstroCity". NTM subscribers can download the multi-tracks today, then join Madsen for the livestream on March 26. NTM will also host a Q&A chat with Madsen on March 16 at 12:00pm ET, exclusively available to subscribers. 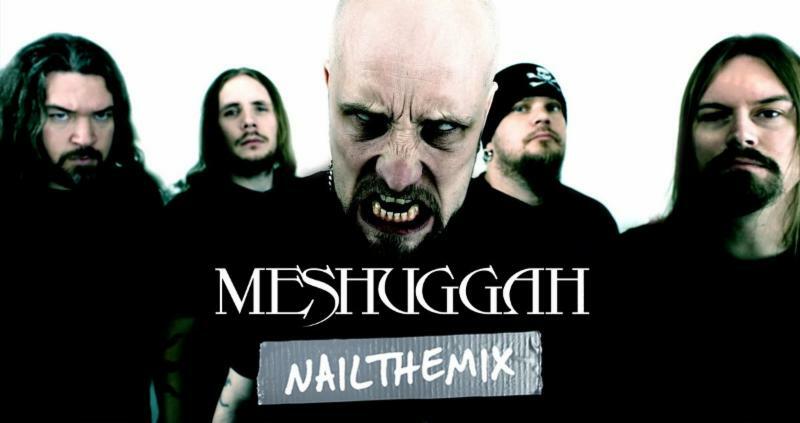 Madsen says, "Wow, doing NAIL THE MIX live, with a Meshuggah song! A bit scary, but I'm also dying to tell the story of how that record was made. I think there are a lot of little details from my own favorite records that I would personally love to hear about. I am going to try and remember to share all of the stories I have about this record. I think they'll be as much stories about philosophy of recording as actual studio tricks... or maybe they don't seem like tricks to me anymore! Anyways I am looking forward to seeing you all there!" NTM's Eyal Levi adds, "There are originators and there are followers. No band has warped minds and crushed heads the way MESHUGGAH has for over 25 years. This is going to go down as a career highlight for me because I've always wanted to know what was behind Meshuggah's tracks. Are they human? Are they for real? How on Earth do they actually pull this insane music off? You can find out too, this month on NAIL THE MIX." In addition to receiving the raw multi-tracks of "MonstroCity", those who get access to March's NTM class can take part in a user-judged mix competition with major prizes from Ibanez, including a guitar and pedals! Select subscriber mixes will be chosen for airing on NAIL THE MIX's sister podcast, URM Podcast, as part of their "MixCritMonday" series.